I AM proud of Brighton’s leadership in keeping down rate increases and to report to you that the coming financial year will be the 19th in succession that we have maintained rises at or below the rate of inflation. INDEPENDENT research has shown that Brighton ratepayers are firmly opposed to council amalgamation. In an extensive survey conducted at the beginning of May, some 60 percent of ratepayers polled expressed their opposition to a merger and stated they wanted Brighton to remain as an independent, stand-alone municipality. BRIGHTON ratepayers will see their household rates rise by just 15 cents a week next financial year following Council’s continued support of its fair rating policy that ties rises to no more than the annual CPI increase. 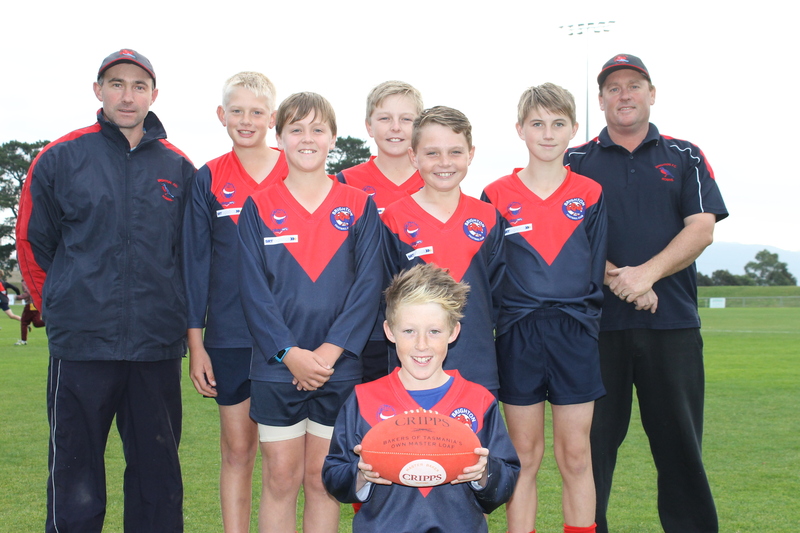 SIX of Brighton Football club’s youngest stars have been chosen in the Tasmanian Under-12 State team to play in the national Under-12 carnival in July. The six boys are Jacob Young, Noah Holmes, Max Lamb, Darcy Gardner, Tyron Bailey and Mitchell Ford. The successful players with their coaches, from left, Paul Backhouse (assistant coach), Jacob Young, Noah Holmes, Wayne Lamb (coach) (Back row) Max Lamb, Darcy Gardner, Tyron Bailey (middle) Mitchell Ford (front). BRIGHTON Council is seeking feedback from our community on two important issues for the future – our Strategic Plan and our response to the Minister for Local Government’s push for councils to look at amalgamation and service-sharing arrangements. BRIGHTON Council will seek the views of ratepayers and the local community on the push for council amalgamations and options for sharing services with neighbouring councils. BRIGHTON celebrated an historic ANZAC Day event with the official opening of its new Remembrance Park this year. The site was the venue for the municipality’s 11am service on ANZAC Day, the first time it has been used since the Park’s re-development. The new Remembrance Park project was managed by Brighton Council’s manager of development services James Dryburgh. 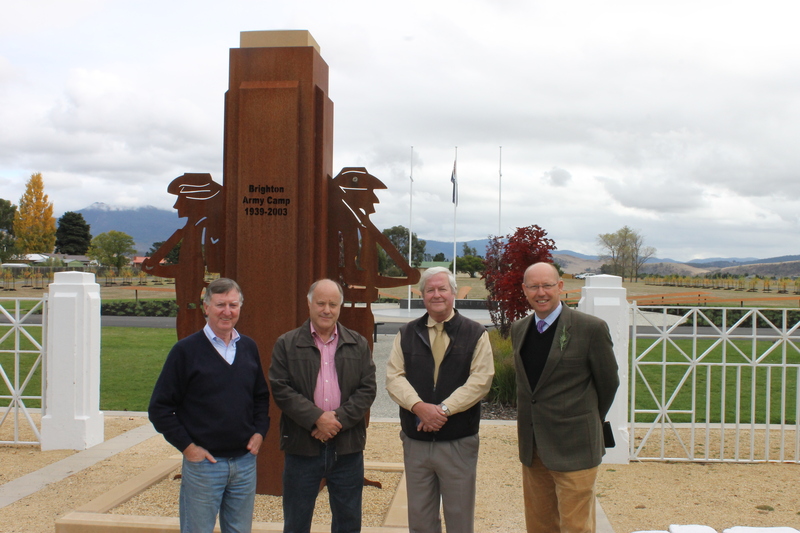 Prior to Anzac Day, the media was invited to view the new Remembrance Park with from left Brighton Mayor Tony Foster with former Army Camp resident Tony Coleman and historian Reg Watson.